Carter Moon lives in a small town named Little. Heh. This small town is about to have something big happen to it though as a movie production moves in to film a remake of A Christmas Carol starring a young rising star on the mend, Adam Jakes. Carter couldn’t care less about the Hollywood life but her world is about to change when she is approached and offered to join that life, briefly, to not only help boost Adam’s persona but to help her brother out of his financial mess. Chloe is the epitamy of a small town girl. But she’s happy that way. Mostly. She is incredibly sweet, selfless and sincere. A total old soul. She works part-time at her family’s cafe and loves it. She doesn’t complain about her life, but deep down you know something is missing. I’m not used to reading characters quite like her but it was refreshing to find someone just genuinely good-hearted. I loved how important her family was to her. Her father was a great presence and someone she was open to talk to about anything. Of course everything was not sunshine and rainbows in her family with her brother’s gambling addiction constantly causing problems, but Carter never let that dictate her feelings for him. She was willing to do anything in her power to support her family. When Adam is first introduced to Carter, let’s just say I rolled my eyes at his antics. He was used to girls fawning all over him and he had no idea just how different Carter would be. We saw two different sides to Adam throughout the book. On one side, we see the Adam who grew up in the spotlight and was used to always putting on a show. Everything in his life was like a movie, an act. He knew how to work people and it was hard to distinguish what was real and what was a lie. On the other hand, we get that realness, a regular teenager just soaking in the normalcy he was never granted due to his line of work. And it was that Adam that Carter started to fall for, no matter how hard she tried to fight it. What was also a great addition to the story was Carter’s friends. First we have Chloe who was that girl who fangirls and falls all over the Hollywood glitz and glamour, much to Carter’s amusement and sometimes embarrassment. Then there is Chloe’s boyfriend, and Carter’s long time friend, Drake or Alien Drake as they call him. Alien Drake was more mellow and like the male version of Carter. They added some great comic relief as well as beautiful moments of friendship and support for each other. The three of them loved to sit on the roof at night and star gaze while they’d chit chat and eat junk food. Carter and Alien Drake write up blog posts on their musings at night about life and the sky and I adored the addition of a few of those posts. Very thought-provoking how they related aspects of what was happening in life with the sky. The romance was so cute and a perfect slow burn for me. Carter and Adam were able to teach each other about what they want out of life and to challenge each other to reach for that, despite the difficulties. Carter showed Adam what it was like to put down roots and enjoy the little things. To be yourself. And most importantly, Adam helped show Carter how to not give up on things you enjoy because it gets hard. To spread your wings and open yourself up to the possibilities life throws at you. To take risks. Nothing felt forced and the progression of events left me excited, nervous and then totally satisfied and perhaps a little giddy at the end. Carter never had to sacrifice what she believed in and I loved her for it. Even though she didn’t fall for all that famous mumbo jumbo, she wasn’t immuned to his charm either. Whenever she’d let her guard down and crush a little, it was adorable. The way it all wrapped up put a huge smile on my face and just made me love the journey to that point even more. 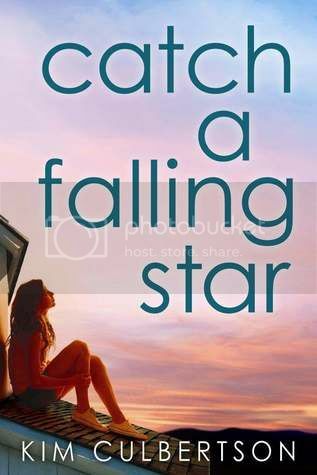 Every once in a while I desperately find myself in need of a light and fun read, something to make me smile, and that is just what I found in Catch a Falling Star. I would absolutely recommend it for those looking for the same, and definitely a great summer read! Because I really like this guy, the version of him that broke through his cloud cover once in a while. I had expected to tolerate the tantrums of a brash, selfish movie star for a few weeks – smile, grit my teeth, and quietly count my cash, help my brother out, ease my parents’ stress. Adam wasn’t supposed to make me feel like this. Like I could float away into the sky. Really like the sound of this one. Great review! This sounds like a really cute read – I’m glad you enjoyed it! I’m looking forward to reading it myself. I normally don’t like Hollywood star type stories, but Carter seems very down to earth, which hopefully help ground everything. Great review Mel and great writing! This one looks like a great YA beach read for this summer, so I’ll be adding it to be TBR pile! It keeps on piling up right?! I thought this was cute, but for some reason I didn’t swoon over Adam so I wasn’t necessarily rooting for them. The romance was sweet, but I just wasn’t feeling it. But I did enjoy the basic story and Carter was definitely a different MC, she was just so nice. I wanted her to actually make those comebacks she was thinking about in the beginning when Adam was acting like such a jerk. Oh well! Great review, glad you enjoyed it. I love books set in small towns. I like the sound of this one. I have it coming up soon! 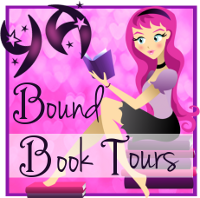 Nereyda @Mostly YA Book Obsessed recently posted…Let’s Talk About…New Adult! Yay, Sara! I’m so happy that you enjoyed this one. I had a few issues with it, like you know… but overall it was a very cute read. 🙂 I loved Chloe! I felt that Carter was a little TOO perfect. I kept waiting for her to mess up, but it never happened! LOL! I’ve been reading a lot of contemps lately, so maybe I need to switch to something slightly different for a bit. I’m planning on reading The Taking next. 🙂 Great review! The small town setting has always intrigued me, so I know I’ll like that aspect already. While being hired to date a famous actor sounds a little cheesy and unrealistic it also sounds super cute. 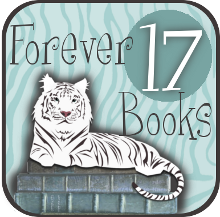 You convinced me to add this to my TBR =) Great review! Lily recently posted…What’s Up With the Cover for The Treatment? The slow burn romance really appeals to me and although i passed first go round for requesting I might have to go back to it. Definitely sounds like a cute book. I’m happy to hear the romance worked. This is such an adorable review Sara, I’ve not come across many reviews for this book so far, but I’m thrilled to see a praising review from you. I’m always on the lookout for my fun light hearted books for the Summer, and this one sounds perfect! So I’m a fan of books where a big shot actor comes strolling into town and ends up falling in love with a small town girl. I think I’ll enjoy this. Aww! Yay! I’m SO glad you enjoyed this one Sara! I just got it on NG, so I can’t wait to start it! I absolutely need a cute, fun read about now! Looks like one I should add to my summer list! chelsea recently posted…Book Questions: P A R T O N E.
I’m such a sucker for celebrities liking their polar opposites. And SLOW BURN ROMANCE *flails* for me, that’s the best kind. Okay, you convinced me, I’m reading this! And the character sounds really great too (Especially Adam! ), plus the romance sounds just how I like it. Will definitely try this one soon! I can’t wait to read this. Thanks for the review! me recognise so that I may just subscribe.